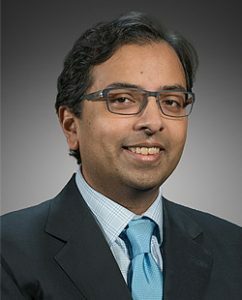 (April 2019) Dr. Venu Pillarisetty, Associate Professor, Division of General Surgery, and Dr. Y. David Seo, Division of General Surgery (R3) and research fellow, published a paper “Mobilization of CD8+ T cells via CXCR4 blockade facilitates PD-1 checkpoint therapy in human pancreatic cancer” in the Journal of Clinical Cancer Research. Their findings challenge the commonly held view that pancreatic cancer does not elicit an immune system response that is robust enough for immunotherapy to be effective. The researchers report that they found such T cells within pancreatic tumors and determined that they can be activated to attack and kill cancer cells. They studied pancreatic ductal adenocarcinoma, the most common and most deadly pancreatic cancer. 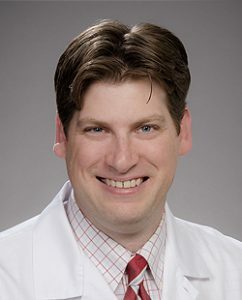 (April 2019) Dr. Bryce Robinson, Associate Professor, Division of Trauma, Burn & Critical Care Surgery, received the American College of Surgeons (ACS)/Eastern Association for the Surgery of Trauma (EAST) Health Policy Scholarship through Brandeis University. This scholarship will support Dr. Robinson to attend the one-week Executive Leadership Program for Health Policy and Management. The program will be held in June 2019 and is offered through The Heller School for Social Policy and Management at Brandeis University. It is a unique opportunity for attendees to learn more about creating innovative and sustainable solutions to improve the quality, cost-effectiveness, and efficiency of health care service delivery and participating in health care policy and reform. Dr. Sweet won the gold award for Achievement in Medical Technology for his contributions to the field of healthcare simulation. 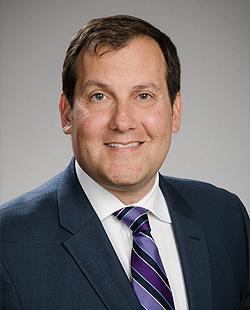 As Executive Director of WISH and CREST, he has made simulation technology an essential tool in training providers and increasing patient safety. 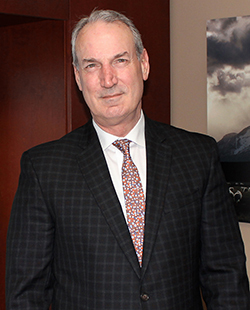 (January 2019) In honor of his outstanding work and significant contributions, Dr. Douglas Wood, The Henry N. Harkins Professor and Chair, was presented a 2019 Society of Thoracic Surgeons (STS) Distinguished Service Award at the Annual Membership Business Meeting. 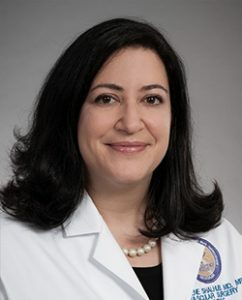 (December 2018) Dr. Sherene Shalhub, Assistant Professor, Division of Vascular Division, has been appointed by the Patient-Centered Outcomes Research Institute (PCORI) as a member of its Advisory Panel on rare diseases. Dr. Shalhub will join other members of the panel in applying her experience and expertise to helping PCORI refine and prioritize the research it funds. She will also ensure that the research PCORI supports centers on the outcomes that matter to patients and other healthcare decision makers. PCORI is an independent, nonprofit organization authorized by Congress to fund research that will provide patients, their caregivers and clinicians with the evidence-based information needed to make better-informed healthcare decisions. 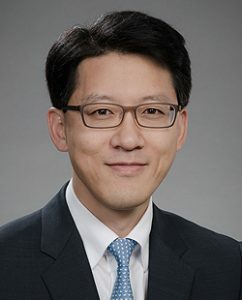 (November 2018) Dr. James Park, Associate Professor, Division of General Surgery, published a brief update on current topics pertinent to surgical resection for hepatocellular carcinoma in his publication Surgical Resection in HCC. It highlights patient selection, perioperative surgical and anesthetic considerations, post-operative complications, with special emphasis on minimally invasive approaches and emerging technologies to enhance pre-operative planning and intra-operative visualization. 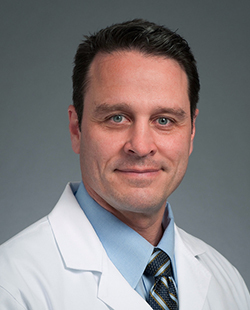 (October 2018) Dr. Mika Sinanan, Professor, Division of General Surgery, has been selected as an American College of Surgeons’ B/G Executive Committee Member where he will serve as the Advocacy Pillar Lead. 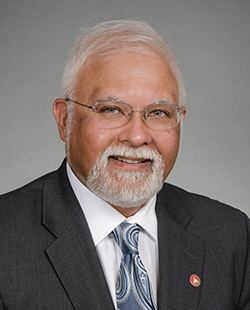 He was Chair, B/G Surgical Care Delivery Workgroup from 2015 to 2018. (August 2018) Dr. Sara Javid, Associate Professor, Division of General Surgery/Seattle Cancer Care Alliance, has been introduced as a new associate editor for the JNCCN—Journal of the National Comprehensive Cancer Network. 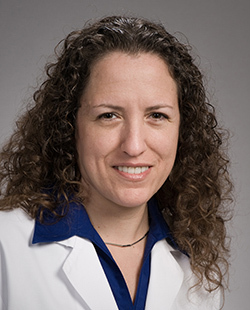 (July 2018) Dr. Elina Quiroga, Associate Professor, Division of Vascular Surgery, completed her Master of Public Health (MPH) this past summer at the University of Washington’s Department of Global Health. 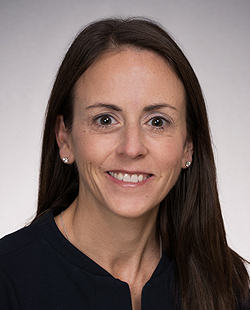 As part of this interdisciplinary training on global health issues, she performed her practicum evaluating the efficacy of simulation–based training in vascular surgery for general surgery residents in low– and middle–income countries. Her thesis assessed the current capabilities for evaluation and treatment of cardiovascular disease in Argentina, following the consensus recommendations for essential vascular care, using geographic population assessment. Dr. Quiroga would like to express her gratitude to the Department of Surgery, and especially the Division of Vascular Surgery, for their support to complete this MPH. She also would like to especially recognize her appreciation to Dr. Alberto Ferreres, Professor & Chair of Surgery, Department of Surgery, University of Buenos Aires, Argentina, and the team at the Bocalandro Hospital, as well the surgeons at the Argentinean College of Cardiovascular Surgery, for all their tireless work towards improving surgical care of vascular patients in Argentina.